Advantages of RFID wristband in the hospital: Doctor or nurse can help patients in case of communication difficulties e.g. for identity confirmation; Monitoring, tracking unauthorized access wandering the area; In the event of medical emergency, epidemics, terrorist threats and other circumstances, RFID can contribute to the implementation of restrictions to prevent unauthorized medical staff and patients outside the hospital and RFID Wristbands allow hospital administrator to encrypt some data in case the wristband is lost, it can’t be deciphered. 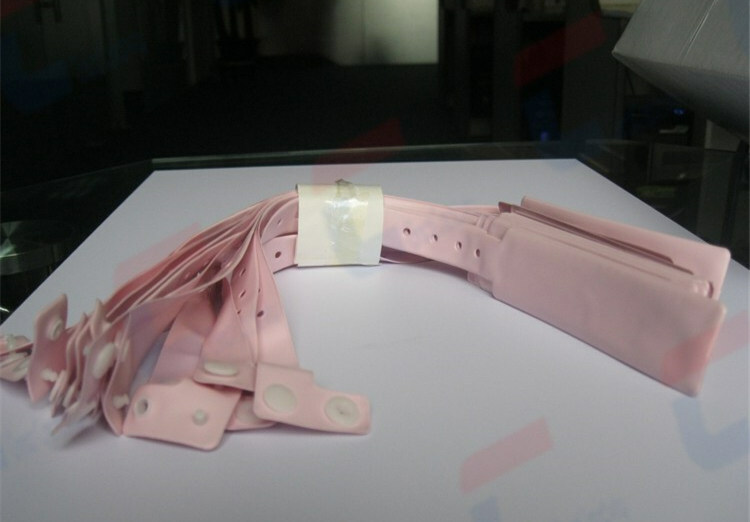 Our company and EPS hospital of Italy came to an agreement, conclude and sign an order that our company as a long-term supplier of making hospital RFID Wristband tag.